Clarizen is a scalable enterprise software for collaborative work management. It provides features like cross-company project management, configurable workflow automation, in-context collaboration and a tailored, role-based experience, all built on a secure platform. miniOrange provides secure access to Clarizen for enterprises and full control over access to the application. Single Sign On (SSO) into Clarizen with one set of login credentials. The Enduser will be redirected to their Clarizen account by clicking the Clarizen icon on the Enduser Dashboard - there is no need to log in again. In SP Initiated Login, SAML request is initiated by Clarizen. An Enduser tries to access their Clarizen domain. Here they can enter the miniOrange login credentials and login to their Clarizen Account. Click on SAML tab. Select Clarizen. 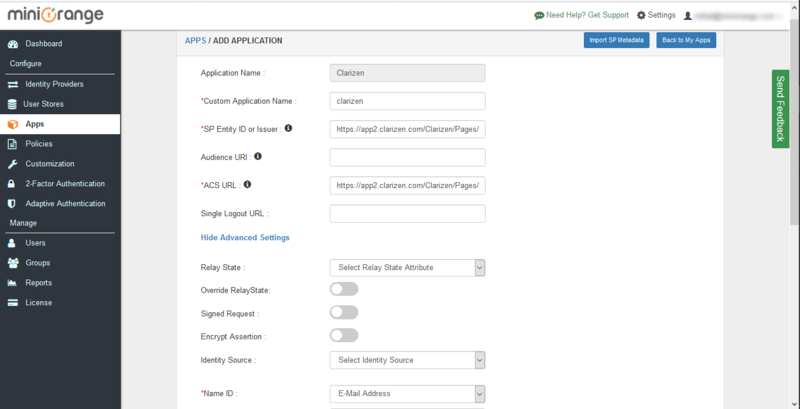 Enter the SP Entity ID or Issuer as https://app2.clarizen.com/Clarizen/Pages/Integrations/SAML/SamlResponse.aspx. Add a new policy for Clarizen. Select a Group Name from the dropdown - the group for which you want to add Clarizen policy. Give a policy name for Clarizen in the Policy Name field. Click on Save to configure Clarizen. Click on Metadata link to download the metadata which will be required later. Click on Link to see the IDP initiated SSO link for Clarizen. Click on Download Metadata button to download the metadata which you will require later. Login to your Clarizen domain as the Account Administrator. Under the Navigation bar, click on the Settings tab. Go to Global Settings and under the Organization Settings section, click on the edit... link beside Federated Authentication. Certificate Select the Certificate downloaded earlier. 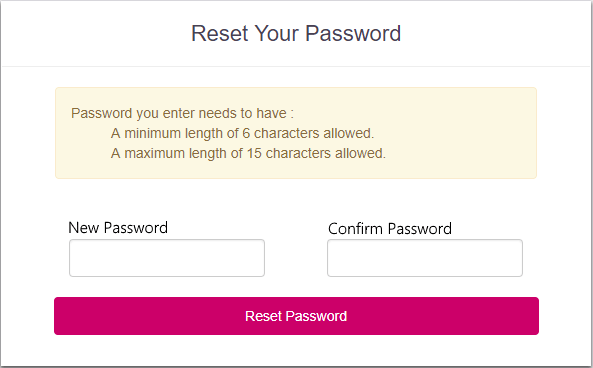 Enable Password Authentication Select according to your requirements. Use POST Tick the Use HTTP POST Binding option. Leave all the other options unchecked. Save the URL given in the option: To Login via SSO. Click on Save to save the SAML SSO Settings. Click on Clarizen application which you added, to verify your sso configuration.